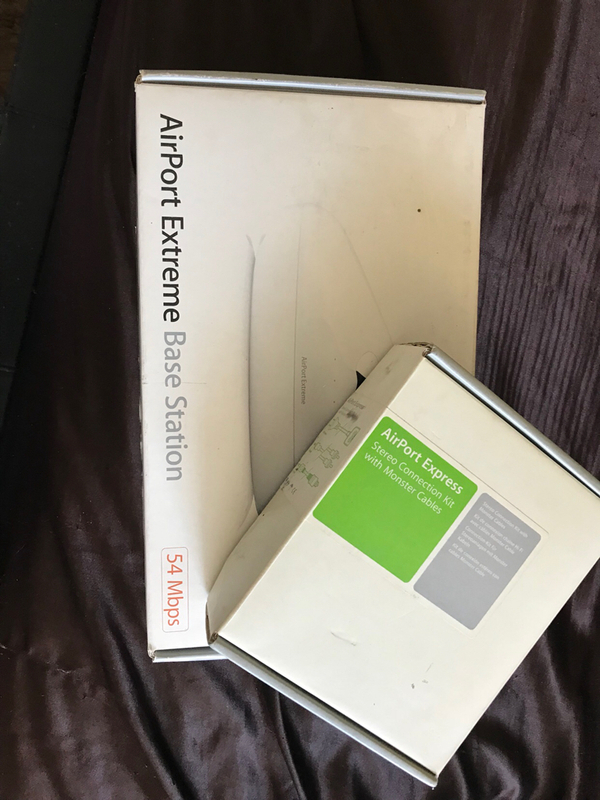 One of my friends gave me a Airport Express? Do people still use these? Not sure if I’m sounding pretty new here, but from what I gather from my google search is that it’s just a WiFi router. I use a hotspots at home from my wife’s note 5 or my iPhone 7 Plus so I would never use it unless I get a home internet provider. I don't have any experience with the Apple Airport Express, but I notice that most businesses use them in an office environment. I think it's a WFI booster. Maybe someone can chime in that has knowledge concerning the Airport Express. Honestly, don't bother. Apple has essentially abandoned the router business, so even the Extreme (better than the Express) is kind of a mess. I had an Extreme for a while and managed to fix a ton of issues by switching to Netgear. Damn ok. So just toss the thing? If you don't have an internet provider, you have no use for it. You can get by with no internet provider? Wow. Spencerdl, Annie_8plus and TheRandomDealio like this. I have use my hotspot for everything. I was only kidding, I have no use for it. How does that work? Do you have to reconnecting? With us have 3 4K TV, 3 Apple TV’s, X Box and etc, we use a ton of data. We average 900 GB’s a month. And we need power. We get 300 mbps speeds. It doesn’t ever buffer at all. I have my vision smart tv, printer, iPad, MacBook Pro, MacBook Air, and ****ty HP. All fine. They all connect automatically. yeah i dont think if ever see a purpose for that. We get internet with 300 mbps speeds, TV with 220 channels including movie channels for 3 rooms for $130 a month. We had cut the cord in TV but was still paying 100 a month. We got TV back part of a package deal for only an extra 30 a month. That’s not bad. I don’t even have a tv package. I still have access to directv but through my cousins sign on. For movies I stream them online. Yeah we had cut the cord because we were paying 220 a month for all. But when we went in to switch out router to the new panoramic Wi-Fi router, they told us abi it the new plan. I guess we were never put in a package deal before so we were paying too much. So yeah it was $30 extra a month from just Wi-Fi only. We still save $95 a month from before and we are getting more channels then before. Win win. Hey so I didn’t realize he gave me both the Express and the Extreme?